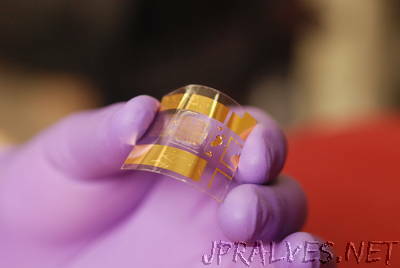 “A team of University of Wisconsin–Madison engineers has created the most functional flexible transistor in the world — and with it, a fast, simple and inexpensive fabrication process that’s easily scalable to the commercial level. Transistors are ubiquitous building blocks of modern electronics. The UW–Madison group’s advance is a twist on a two-decade-old industry standard: a BiCMOS (bipolar complementary metal oxide semiconductor) thin-film transistor, which combines two very different technologies — and speed, high current and low power dissipation in the form of heat and wasted energy — all on one surface. Ma is a world leader in high-frequency flexible electronics. He and his collaborators described their advance in the inaugural issue of the journal npj Flexible Electronics, published Sept. 27.